TORONTO -- Ontario's finance minister says $1 billion in higher sales and income tax revenues have pushed the province's deficit down to $13.5 billion. Vic Fedeli released Ontario's 2018-19 third-quarter finances today and says the higher revenues show the government's plan is working. 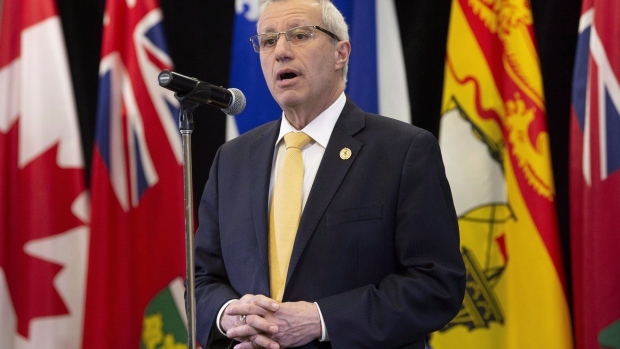 Fedeli says the next budget will show a path to balance, though he wouldn't specify if the government will eliminate the deficit within its four-year mandate. Treasury Board President Peter Bethlenfalvy says he has directed ministries to limit spending until fiscal year end of March 31.